I have already written about the height of Swedish filmmaking in my post about The Outlaw and His Wife. Another of Victor Sjöström’s most famous movies was Klostret i Sendomir (The Monastery of Sendomir in English). The film begins with two travellers who decide to spend the night at a monastery. They become curious as to the monastery’s origins and convince one of the monks to tell them. It turns out that a man who became jealous of his cheating wife decided to fuond the monastery to atone for his sins in connection with this. The majority of the film is a flashback as the monk tells the story. In the end we revert back to the two travellers for a nice twist. Like many of the Swedish films from this classical period, Klostret i Sendomir was based on a literary original, in this case a short story by the German writer Franz Grillparzer. Compared with modern Hollywood, these Swedish films stayed close to the originals, and in many cases, such as this, they also retained the tragic endings. In fact, Hollywood started to recognize the commercial value of happy endings at least as early as the 1920s, which Sjöström became aware of a few years later, when he moved to Hollywood to continue his career there. This film is best enjoyed if you are curious about this classical period in Swedish film. It is a genuinely good film, especially compared with most other films from the same period, but directors and producers of the time were still very much experimenting with the medium, and parts of the film tend to feel a little stiff today. Still, it is a very good story, and told in the best way known in 1920. 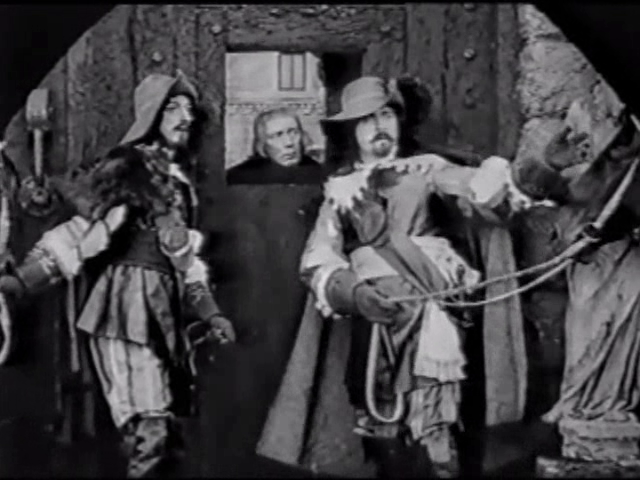 This entry was posted in Silents and tagged 1920, 1920s, Drama, Historical, Internet Archive, Monastery, Poland, Renaissance, Silent, Swedish film. Bookmark the permalink.